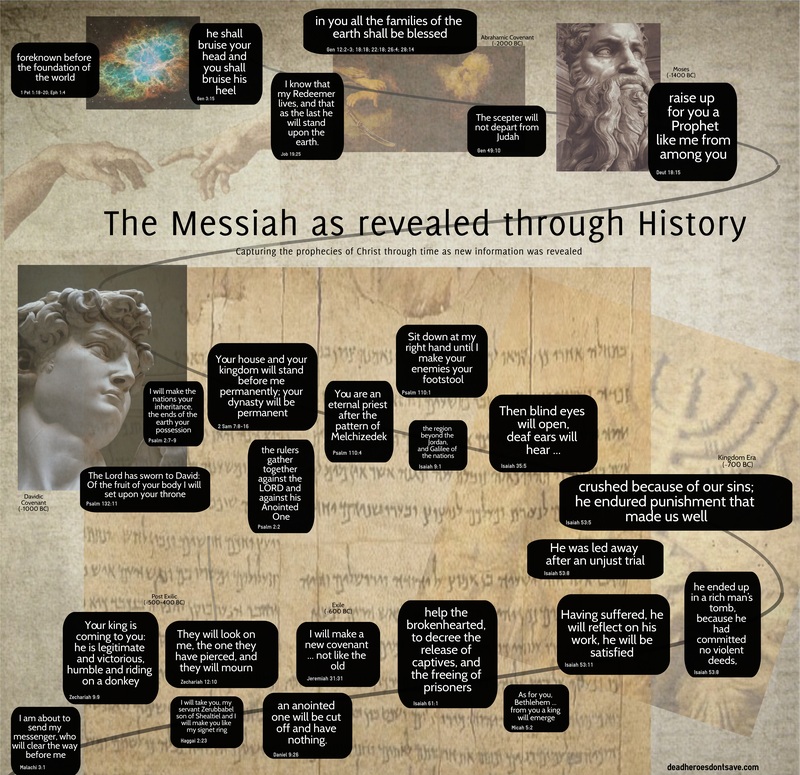 The following infographic tries to capture key prophetic information about the Messiah in a timeline. The goal was not to show all of the prophecies that the Old Testament contains but rather to highlight when new information was revealed. This allows us to quickly understand what was known about the Messiah at various points in time. This entry was posted in Theology and tagged Gospel, Infographic, Jesus, Messiah, prophecy, Timeline by MikeB (@AnAgileJedi). Bookmark the permalink.